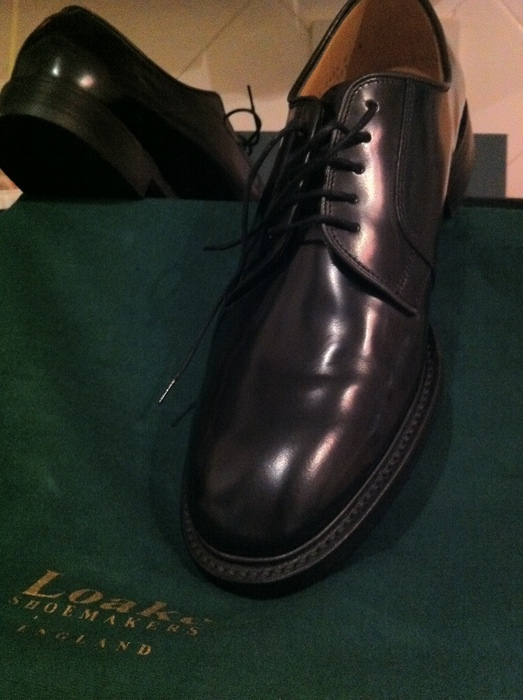 These Loake shoes are from Pond's Shoes in Norwich (at Castle Meadow) and were half price at £50. They have a smooth sole which is quite slippy in the shop but which should roughen up with use. Ponds Shoes has been in business since the 1870's, in the same premises in fact. The current proprietor David Kell is only the third owner of the shop; this really is here to stay and you should be assured of excellent customer service.